Lords Through Houses & Signs. Here we start our new series of Lords through Houses and Signs. So first of all, what does this terminology mean? So far, we are well aware that we have 12 houses in a horoscope and based on a Zodiac Sign as Ascendant an individual has, every house has a particular Zodiac Sign in it. Now, we also know that every zodiac sign is ruled by a planet. This planet is known as the Lord of that particular zodiac sign. Hence, it also becomes the lord of the house in which that sign is placed. First, let’s see which Zodiac Sign is ruled by which planet. (Here, I won’t include ruler-ship of Uranus, Neptune and Pluto as these are more used in Western Astrology). Mars rules Aries & Scorpio. Mercury rules Gemini & Virgo. Jupiter rules Sagittarius and Pisces. Venus rules Taurus and Libra. Saturn rules Capricorn and Aquarius. Rahu co-rules Aquarius along with Saturn. Ketu co-rules Scorpio along with Mars. So, we see that Sun and Moon rule only one sign, whereas all other planets rule 2 signs each and Rahu & Ketu co-rule one sign each. Now, again for each ascendant, these zodiac signs fall in different houses. I have made enough Articles on each Ascendant, so if anyone has any confusion in understanding what an Ascendant is, then please check articles of Ascendant on www.astrosaxena.com under Signs section. So, let’s see what signs fall in which houses for every ascendant and which planet rules it. 1st house – Aries Sign – Lord is Mars. 2nd house – Taurus Sign – Lord is Venus. 3rd house – Gemini Sign – Lord is Mercury. 4th house – Cancer Sign – Lord is Moon. 5th house – Leo Sign – Lord is Sun. 6th house – Virgo Sign – Lord is Mercury. 7th house – Libra Sign – Lord is Venus. 8th house – Scorpio Sign – Lord is Mars. 9th house – Sagittarius Sign – Lord is Jupiter. 10th house – Capricorn Sign – Lord is Saturn. 11th house – Aquarius Sign – Lord is Saturn. 12th house – Pisces Sign – Lord is Jupiter. 1st house – Taurus Sign – Lord is Venus. 2nd house – Gemini Sign – Lord is Mercury. 3rd house – Cancer Sign – Lord is Moon. 4th house – Leo Sign – Lord is Sun. 5th house – Virgo Sign – Lord is Mercury. 6th house – Libra Sign – Lord is Venus. 7th house – Scorpio Sign – Lord is Mars. 8th house – Sagittarius Sign – Lord is Jupiter. 9th house – Capricorn Sign – Lord is Saturn. 10th house – Aquarius Sign – Lord is Saturn. 11th house – Pisces Sign – Lord is Jupiter. 12th house – Aries Sign – Lord is Mars. 1st house – Gemini Sign – Lord is Mercury. 2nd house – Cancer Sign – Lord is Moon. 3rd house – Leo Sign – Lord is Sun. 4th house – Virgo Sign – Lord is Mercury. 5th house – Libra Sign – Lord is Venus. 6th house – Scorpio Sign – Lord is Mars. 7th house – Sagittarius Sign – Lord is Jupiter. 8th house – Capricorn Sign – Lord is Saturn. 9th house – Aquarius Sign – Lord is Saturn. 10th house – Pisces Sign – Lord is Jupiter. 11th house – Aries Sign – Lord is Mars. 12th house – Taurus Sign – Lord is Venus. 1st house – Cancer Sign – Lord is Moon. 2nd house – Leo Sign – Lord is Sun. 3rd house – Virgo Sign – Lord is Mercury. 4th house – Libra Sign – Lord is Venus. 5th house – Scorpio Sign – Lord is Mars. 6th house – Sagittarius Sign – Lord is Jupiter. 7th house – Capricorn Sign – Lord is Saturn. 8th house – Aquarius Sign – Lord is Saturn. 9th house – Pisces Sign – Lord is Jupiter. 10th house – Aries Sign – Lord is Mars. 11th house – Taurus Sign – Lord is Venus. 12th house – Gemini Sign – Lord is Mercury. 1st house – Leo Sign – Lord is Sun. 2nd house – Virgo Sign – Lord is Mercury. 3rd house – Libra Sign – Lord is Venus. 4th house – Scorpio Sign – Lord is Mars. 5th house – Sagittarius Sign – Lord is Jupiter. 6th house – Capricorn Sign – Lord is Saturn. 7th house – Aquarius Sign – Lord is Saturn. 8th house – Pisces Sign – Lord is Jupiter. 9th house – Aries Sign – Lord is Mars. 10th house – Taurus Sign – Lord is Venus. 11th house – Gemini Sign – Lord is Mercury. 12th house – Cancer Sign – Lord is Moon. 1st house – Virgo Sign – Lord is Mercury. 2nd house – Libra Sign – Lord is Venus. 3rd house – Scorpio Sign – Lord is Mars. 4th house – Sagittarius Sign – Lord is Jupiter. 5th house – Capricorn Sign – Lord is Saturn. 6th house – Aquarius Sign – Lord is Saturn. 7th house – Pisces Sign – Lord is Jupiter. 8th house – Aries Sign – Lord is Mars. 9th house – Taurus Sign – Lord is Venus. 10th house – Gemini Sign – Lord is Mercury. 11th house – Cancer Sign – Lord is Moon. 12th house – Leo Sign – Lord is Sun. 1st house – Libra Sign – Lord is Venus. 2nd house – Scorpio Sign – Lord is Mars. 3rd house – Sagittarius Sign – Lord is Jupiter. 4th house – Capricorn Sign – Lord is Saturn. 5th house – Aquarius Sign – Lord is Saturn. 6th house – Pisces Sign – Lord is Jupiter. 7th house – Aries Sign – Lord is Mars. 8th house – Taurus Sign – Lord is Venus. 9th house – Gemini Sign – Lord is Mercury. 10th house – Cancer Sign – Lord is Moon. 11th house – Leo Sign – Lord is Sun. 12th house – Virgo Sign – Lord is Mercury. 1st house – Scorpio Sign – Lord is Mars. 2nd house – Sagittarius Sign – Lord is Jupiter. 3rd house – Capricorn Sign – Lord is Saturn. 4th house – Aquarius Sign – Lord is Saturn. 5th house – Pisces Sign – Lord is Jupiter. 6th house – Aries Sign – Lord is Mars. 7th house – Taurus Sign – Lord is Venus. 8th house – Gemini Sign – Lord is Mercury. 9th house – Cancer Sign – Lord is Moon. 10th house – Leo Sign – Lord is Sun. 11th house – Virgo Sign – Lord is Mercury. 12th house – Libra Sign – Lord is Venus. 1st house – Sagittarius Sign – Lord is Jupiter. 2nd house – Capricorn Sign – Lord is Saturn. 3rd house – Aquarius Sign – Lord is Saturn. 4th house – Pisces Sign – Lord is Jupiter. 5th house – Aries Sign – Lord is Mars. 6th house – Taurus Sign – Lord is Venus. 7th house – Gemini Sign – Lord is Mercury. 8th house – Cancer Sign – Lord is Moon. 9th house – Leo Sign – Lord is Sun. 10th house – Virgo Sign – Lord is Mercury. 11th house – Libra Sign – Lord is Venus. 12th house – Scorpio Sign – Lord is Mars. 1st house – Capricorn Sign – Lord is Saturn. 2nd house – Aquarius Sign – Lord is Saturn. 3rd house – Pisces Sign – Lord is Jupiter. 4th house – Aries Sign – Lord is Mars. 5th house – Taurus Sign – Lord is Venus. 6th house – Gemini Sign – Lord is Mercury. 7th house – Cancer Sign – Lord is Moon. 8th house – Leo Sign – Lord is Sun. 9th house – Virgo Sign – Lord is Mercury. 10th house – Libra Sign – Lord is Venus. 11th house – Scorpio Sign – Lord is Mars. 12th house – Sagittarius Sign – Lord is Jupiter. 1st house – Aquarius Sign – Lord is Saturn. 2nd house – Pisces Sign – Lord is Jupiter. 3rd house – Aries Sign – Lord is Mars. 4th house – Taurus Sign – Lord is Venus. 5th house – Gemini Sign – Lord is Mercury. 6th house – Cancer Sign – Lord is Moon. 7th house – Leo Sign – Lord is Sun. 8th house – Virgo Sign – Lord is Mercury. 9th house – Libra Sign – Lord is Venus. 10th house – Scorpio Sign – Lord is Mars. 11th house – Sagittarius Sign – Lord is Jupiter. 12th house – Capricorn Sign – Lord is Saturn. 1st house – Pisces Sign – Lord is Jupiter. 2nd house – Aries Sign – Lord is Mars. 3rd house – Taurus Sign – Lord is Venus. 4th house – Gemini Sign – Lord is Mercury. 5th house – Cancer Sign – Lord is Moon. 6th house – Leo Sign – Lord is Sun. 7th house – Virgo Sign – Lord is Mercury. 8th house – Libra Sign – Lord is Venus. 9th house – Scorpio Sign – Lord is Mars. 10th house – Sagittarius Sign – Lord is Jupiter. 11th house – Capricorn Sign – Lord is Saturn. 12th house – Aquarius Sign – Lord is Saturn. As we can see, for each ascendant there is a different planet that rules a different house. This planet which rules a particular house is known as the Lord of the House. Now, we come to our main topic. So in any horoscope, these planets will be at different houses and it is not necessary that they are always in those houses which they rule. Like for an Aries Ascendant, Mars rules 1st house but Mars can be placed in any house of horoscope. It can be any house from house # 1 to House # 12. So, when Mars gets placed as such in a particular house, it takes the energy of 1st house and things related with 1st house to the house where it is placed. Suppose, Mars is in 5th house of Education/Children/Creativity/Sports etc So, it means that for an Aries Ascendant person, Mars is in 5th house in sign of Leo. Now, we need to combine things like 1st house, Aries, 5th house, Leo and Mars (if we are not going into Nakshatra Level). So, it will show up few things about the person. 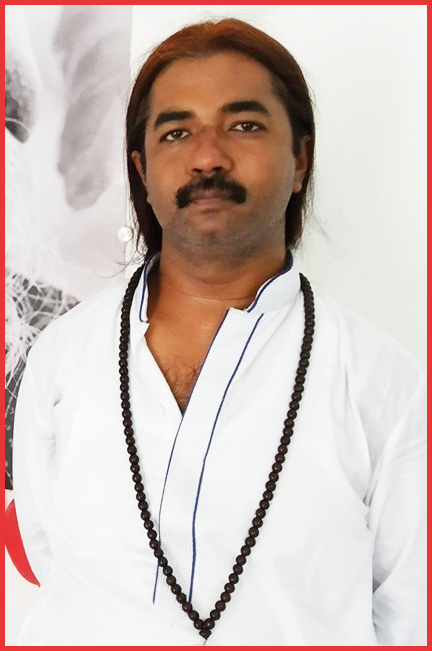 It shows that this person is headstrong and determined to achieve education, he is very protective to his children but the biggest indication we are getting here is that this person may be super interested in sports as Mars is an Athlete, 5th house is Sports & Creativity and 1st house is life path. So, this person’s life path is in the field of Sports. It also shows that this person may be very dominating in matters of love and romance. 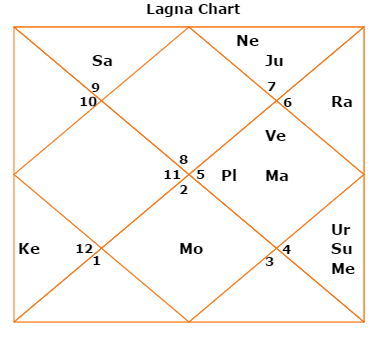 Now, if same Mars is in 4th house, then it goes into sign of Cancer where it is debilitated. 4th house relates to Mother, Home town, Home, Land etc. This will show a person who is argumentative with his mother, may have a property dispute with mother or brothers, and his whole life deals with issues related with mother and finding his self-courage. This situation can surely change if Mars is conjunct with another planet or aspected by another planet. What I am telling here is strictly Mars sitting alone in 4th house and not receiving any benefic/malefic aspect. So like this Lord through Houses works. Planet takes the energy of the house it rules and impacts the house where it sits with such energy. So, we need to interpret 5 things simultaneously, i.e. nature of planet itself, the house it rules, the sign it rules, the house in which it is going and the sign in which it is going. It looks tough in beginning but with practice, it all clicks within few seconds, yes within few seconds. One more thing to always remember in interpreting lords through houses that we need to see what other house that planet is ruling. Like, in this example we were taking of Aries Ascendant where Mars went into 5th house, we need to remember that Mars also rules 8th house for Aries Ascendant and when it is going in 5th house, it will also bring the qualities of 8th house of sudden events, accidents and inheritance into the results of 5th house relating to sports, education, romance etc. So finally, let’s take this horoscope attached with the article and see what all planets are showing by going to different houses as lords of other houses. 1. Let’s start with Ascendant Lord. He is a Scorpio Ascendant. Scorpio’s lord is Mars. Mars also rules 6th house of obstacles. Mars goes into 10th house in sign of Leo and sitting with Venus. Venus and Leo both represent Creativity. So, his whole life will be related with a creative career but he will have to face lots of obstacles in his career. 2. 2nd house of wealth has Sagittarius sign. Its lord is Jupiter. Jupiter also rules 5th house of Creativity. Jupiter is in 12th house of Foreign Lands. It shows that his wealth is coming from some creative work performed in foreign lands. 3. 3rd house of self-efforts, younger sibling and 4th house of mother is ruled by Saturn through its two signs Capricorn and Aquarius. Saturn is in 2nd house of Wealth & Family. It shows that his wealth came from his own efforts and skills. He had a strong relation with Mother as Saturn aspects its own 4th house and provides strength. It also shows lack of company of younger siblings. 4. His 7th house of Spouse and 12th house of Foreign Lands is ruled by Venus through Taurus and Libra respectively. Venus is in 10th house. It shows that either his wife is from foreign land or from his own field of career. As Venus is not so friendly sign of Leo and with Malefic Mars, it shows possible break of relation. 5. His 8th house of Sudden Events and 11th house of Earnings are ruled by Mercury through its signs Gemini and Virgo. Mercury is in 9th house with Sun (which rules 10th house of career through Leo sign) of far distant places and people of different caste and religion. It shows that his income will come by travelling to far places and working with people of different ethnic background in his career. 6. Finally, his 9th house of Luck, Fortune, and Religion has Cancer sign placed. Cancer is ruled by Moon. Moon is exalted in Taurus in 7th house. It shows strong bond with Mother, lots of good luck and fortune through mother despite all the obstacles in life. It also shows spouse coming from a far distant place or from different caste/religion. Big possibility of love marriage. 7. Ketu co-rules his ascendant and sits in its favourite sign of Pisces in 5th house of creativity. Again shows a life path revolving around creativity. 8. Rahu co-rules Aquarius sign in 4th house of Mother and Home and sits at 11th house. It shows that his mental peace comes when he interacts with large group of people and part of social gatherings. 9. It is Sanjay Dutt’s horoscope. It is just a prima-facie observation about how accurate lords through houses and signs could be. From tomorrow onwards, we will start exploring each lord through each house and sign and I am sure that great days are ahead in exploring new things in Astrology. Let’s begin with 1st lord in 1st house from tomorrow.